Apple just made it redonkulously easy to put your alumni magazine on the iPad – and best of all, they did it for free. I’ve been getting a lot of calls and emails lately from vendors wanting to make me an app version of my University’s alumni magazine. The magazine apps I’ve seen have been mostly flip-book PDF style apps and they’re expensive to create and maintain. While driving home in the snow last night, I had a realization. 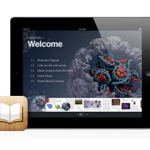 Yesterday, Apple released new software called iBooks Author, free software that will allow people to create multimedia rich books that can be read in the free iBooks app on the iPad. The light went off. While Apple is aiming this at textbook authors and publishers, there’s no reason we can’t easily create rich multimedia versions of our college magazines using it. So, last night, I did it. I downloaded iBooks Author and in 15 minutes had a story laid out including photos, an interactive slide show and dynamic image with hot spots and text. 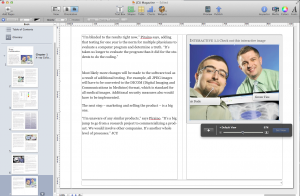 The application is super simple to use, easier than Word, and creating the dynamic elements is very easy. Here’s the interface, I had a few extra guides turned on. As you work, you can preview your work on an actual iPad, if you have one. 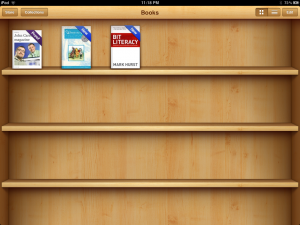 You connect it, and a proof shows up in your iBooks 2 app. You can then scroll through the pages in the real app, interact with the elements, highlight, take notes and so on. This just changed the game. I made an iBook in half an hour. Imagine if I spent an hour on it. 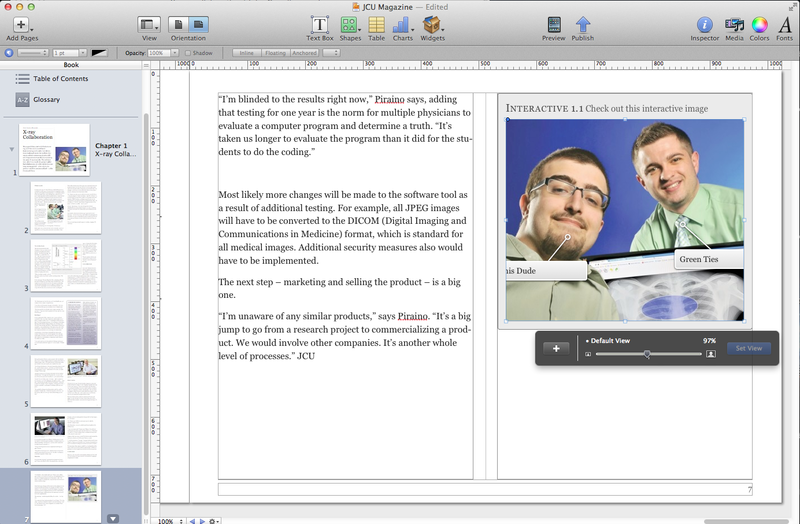 iBooks Author requires a Mac running OS 10.7. While meant for K-12 and textbooks, I think they’ve given us higher ed folks a nice present as well. Previous Previous post: Is this taking social media marketing too far?